» Giveaway: 2 Tickets to PJ Masks Live at the Palace! Home » Contest » Giveaway: 2 Tickets to PJ Masks Live at the Palace! 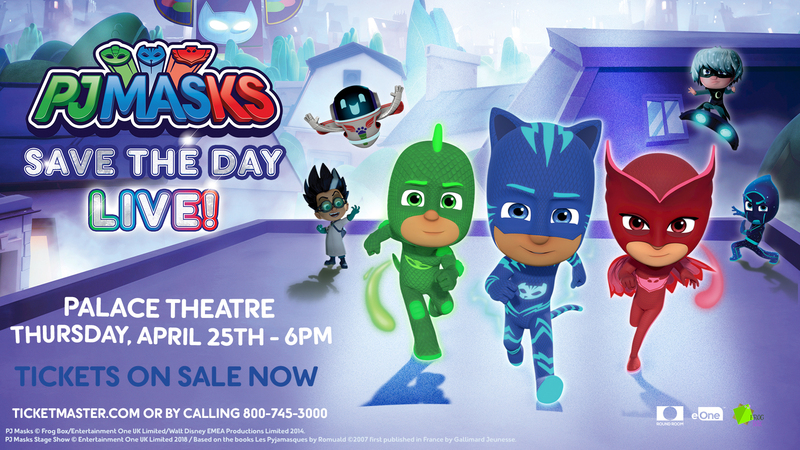 PJ Masks will be LIVE at the Palace on Thursday, April 25th at 6 PM! Tickets start at $28 and are available HERE right now! Courtesy of the Palace Theater, I am giving away a pair of tickets to one lucky reader! To enter, comment below with “pick me!” Enter by 4/16 to win! Winner will be randomly selected and notified via email.